Willapa Bay, WA, USA. 19 May 2017. © Gayle Hansen. Schilksee, Kieler Bight, Baltic Sea. 06 Dec 2004. Dirk Schories. © Dirk Schories (dirk.schories@gmx.de). 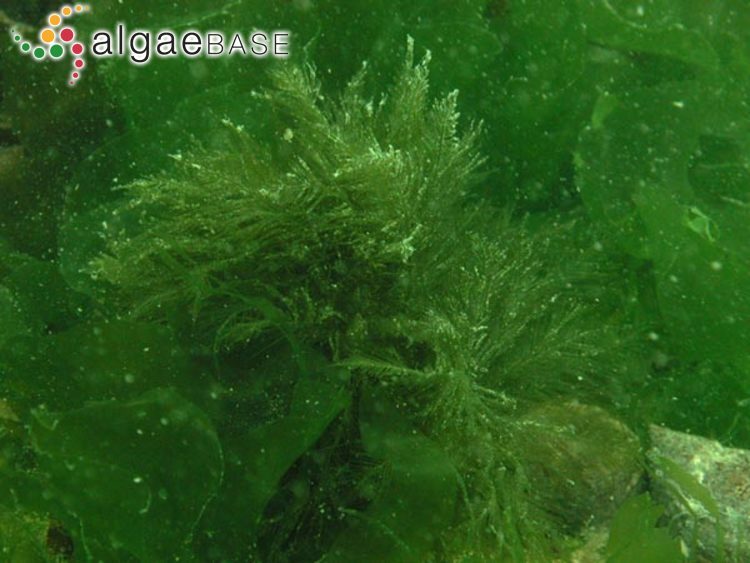 Schilksee, Kieler Bight, Baltic Sea, 2m depth. 06 Dec 2004. Shevlin (in Schneider & Searles, 1991: 95) considers that this entity represents a growth form of B. plumosa (Hudson) C. Agardh. Taylor (1945) cites his record as Bryopsis hypnoides Lamouroux, prox. 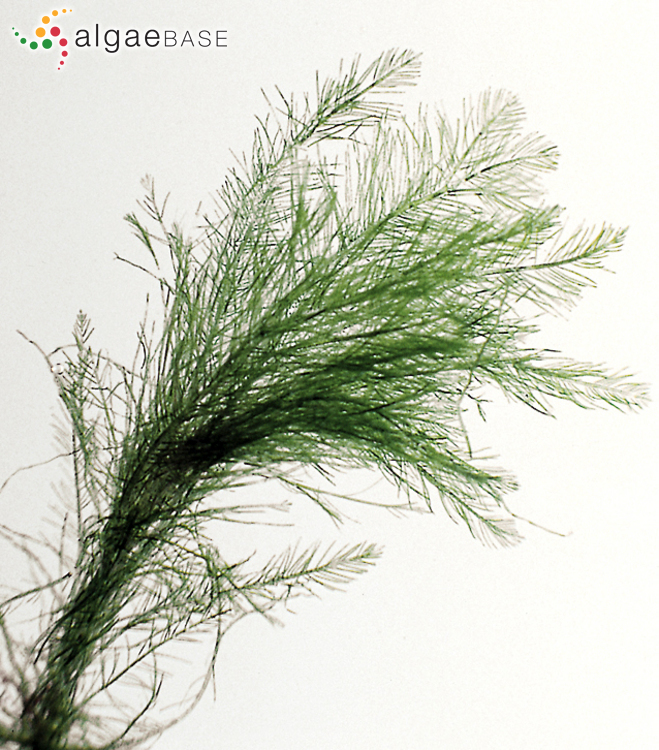 The conspecificty between Bryopsis hypnoides and B. monoica Funk continues to be a matter of dispute (see Cormaci, Furnari & Alongi 2014: 211). English: Variously Branched Mossy Feather Weed (Bunker et al. 2010). Type locality: Hab. in Gall. Mediterr. [Mediterranean France] (Lamouroux 1809: 333). Type: CN? Notes: According to the 1809 reprint, cited by INA, the type locality is "Cette [Mediterranean coast of France: Sète, Hérault]". Accesses: This record has been accessed by users 10328 times since it was created. Bartlett, R.B. & South, G.R. (1973). Observations on the life-history of Bryopsis hypnoides Lamour. from Newfoundland: a new variation in culture. Acta Bot. Neerel. 22: 1-5. Burr, F.A. & West, J.A. (1970). Light and electron microscope observations on the vegetative and reproductive structures of Bryopsis hypnoides. Phycologia 9: 17-37. Burr, F.A. & West, J.A. (1971). Protein bodies in Bryopsis hypnoides: their relationship to wound healing and branch septum development. J. Ultrastruc. Res. 35: 476-498. Díaz-Piferrer, M. & Burrows, E.M. (1974). The life history of Bryopsis hypnoides Lamour. from Anglesey, North Wales and from the Caribbean. Journal of the Marine Biological Association of the United Kingdom 54: 529-538. Feldmann, J. (1957). Sur l'hermaphrodisme du Bryopsis hypnoides Lamouroux. Bulletin de la Société Phycologique de France 3: 7-8. Kermarrec, A. (1980). 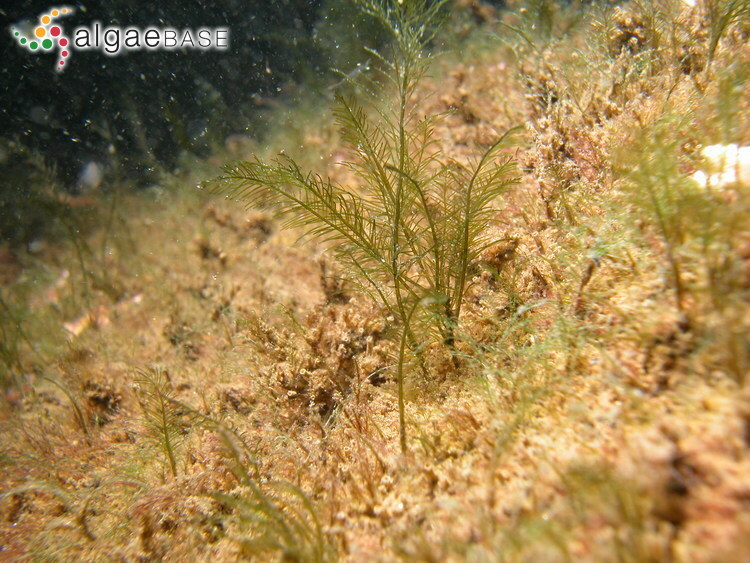 Sur la place de la méiose dans le cycle de deux Chlorophycées marines: Bryopsis plumosa (Huds.) C. Ag. 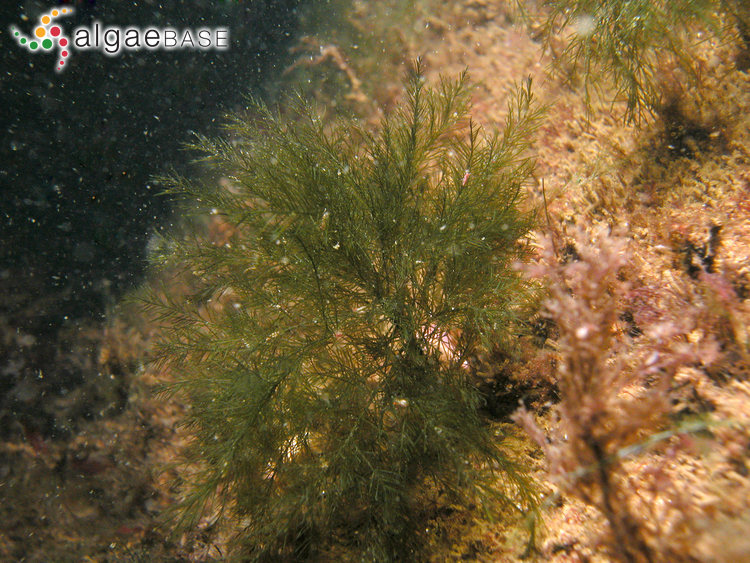 et Bryopsis hypnoides Lamouroux (Codiales). Cahiers de Biologie Marine 21: 443-466. Neumann, K. (1969). Protonema mit riesenkern bei der siphonalen grünalge Bryopsis hypnoides und weitere cytologische befunde. Helgoländer Wissenschaftliche Meeresuntersuchungen 19: 45-57. Rietema, H. (1971). 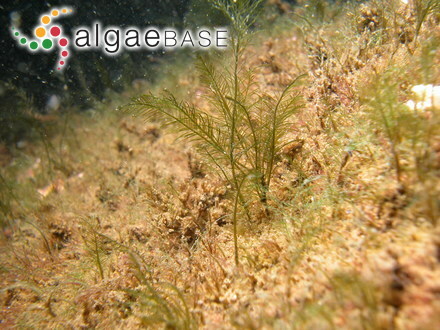 Life-history studies in the genus Bryopsis (Chlorophyceae) IV. Life-histories in Bryopsis hypnoides Lamx. from different points along the European coasts. Acta Botanica Neerlandica 20: 291-298. Urban, P. (1969). 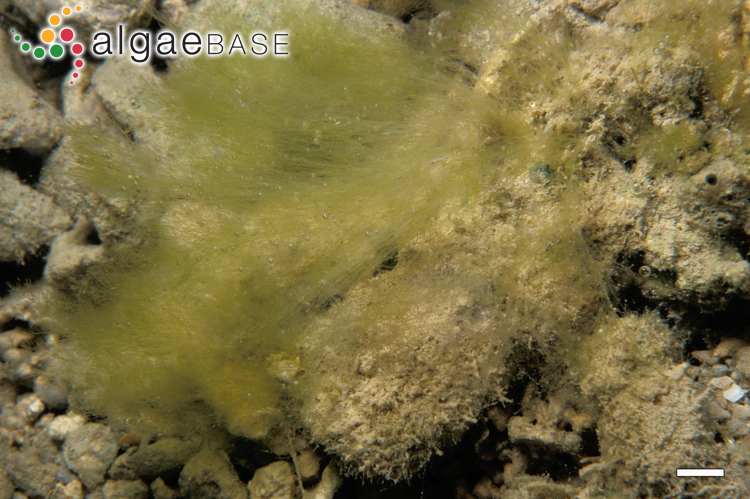 The fine structure of the pronuclear fusion in the coenocytic marine alga Bryopsis hypnoides Lamouroux. Journal of Cell Biology 42: 606-611. Xu, M., Lü, F., Peng, G., Niu, J. & Wang, G. (2012). Subcellular localization of a lectin in Bryopsis hypnoides (Bryopsidales, Chlorophyceae) and its expression during cell organellar aggragation. Phycologia 51(3): 340-346.